Throughout Glaucoma Awareness Month this January, Matossian Eye Associates reminds readers that glaucoma remains a leading cause of preventable blindness. Glaucoma affects more than 2.7 million Americans age 40 and older, and because it often has no early warning symptoms, half of all people with glaucoma do not yet know they have the disease. Because glaucoma can quietly damage vision if left untreated, it has earned the nickname of the "Sneak Thief of Sight." In the most common form of glaucoma, open-angle glaucoma, vision loss is so slow that people are often not aware of it until it is too late. Pressure inside the eye (called intraocular pressure) is elevated but not high enough to be noticeable; this pressure pushes at the back of the eye on the optic nerve, creating irreparable damage. Without proper treatment to slow the nerve damage, open-angle glaucoma patients usually lose peripheral vision first, then may eventually go blind. The good news? Knowing your risks for glaucoma and monitoring your eye health with regular visits to an ophthalmologist can save your sight. Ilya Rozenbaum, MD and Priya Desai, MD, the Fellowship-trained board certified glaucoma specialists recommend that all adults have a baseline, comprehensive dilated eye exam at least by age 40 - the time when early signs of disease and changes in vision may start to happen. 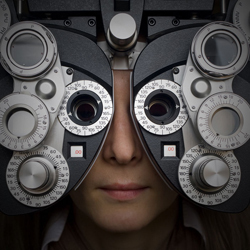 The exam includes an eye pressure check and may also require a visual field examination. Vision loss from glaucoma cannot be reversed, so early detection is critical. To learn more about glaucoma and how to keep your eyes healthy, visit geteyesmart.org. Cynthia Matossian, MD, FACS has been selected to appear on Philly's Top Docs, a segment which airs during the popular "Dr. Oz Show," in 2015. This prestigious invitation is offered to select doctors in the Philadelphia area who meet strict criteria including committment to patient care and optimal outcomes. 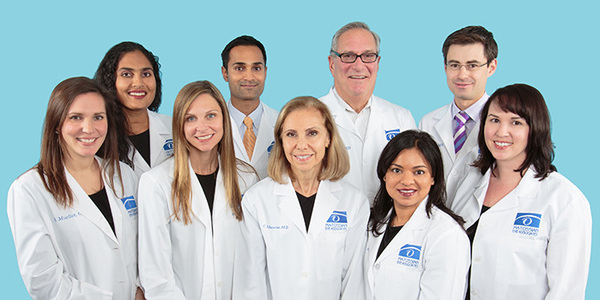 Dr. Matossian is proud to serve both the Bucks County, Pennsylvania and Mercer County, New Jersey areas. Henry Lee, MD, the aesthetics specialist at Matossian Eye Associates recommends TEOXANE serum which is a specialized hyaluronic acid-based skin care product. 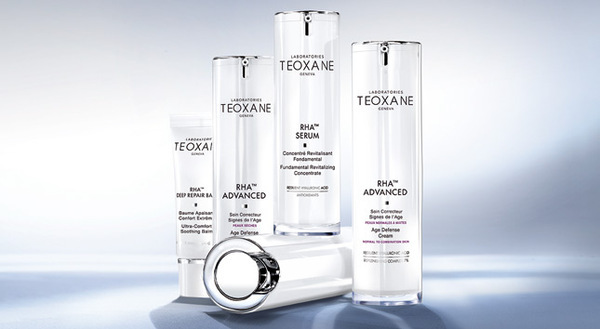 Unlike traditional hyaluronic acid, TEOXANE's RHA Resilient Hyaluronic Acid® is uniquely formulated to provide a hydrating layer on the surface of the skin. It moisturizes and tightens the skin while acting as a matrix, rich in ingredients that are gradually released for a targeted response to the visible signs of aging. TEOXANE serum is ideal for everyday use, and can also be used to maintain the look and feel achieved after a cosmetic procedure or injection. Matossian Eye Associates is proud to offer this refreshing hydrator, dedicated to providing our patients with the best of care, even in the cosmetic realm. During the month of January, we are offering TEOXANE Hydrating Serum at 20% off the regular price! Stop by our office and pick some up today. Matossian Eye Associates is now offering our patients the ability to pay with Apple Pay and Google Wallet for added convenience. 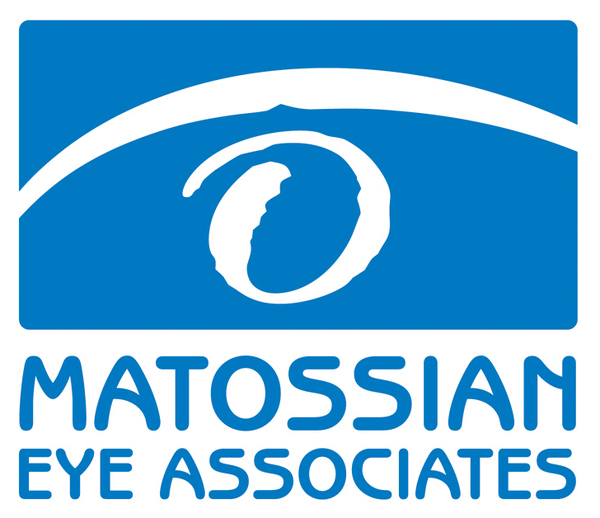 With these mobile payment options, completing transactions at Matossian Eye Associates is now easier and faster than ever. Patients can handle all of their monetary transactions from co-pays to purchases with the simple touch of a finger. Security and privacy is at the core of these mobile payment sources. 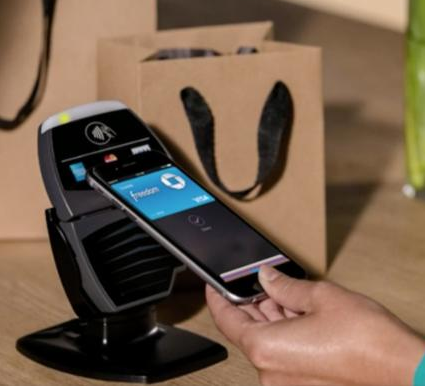 For example, when shoppers add a credit or debit card with Apple Pay, the actual card numbers are not stored on the device nor on Apple servers. Instead, a unique Device Account Number is assigned, encrypted and securely stored in the Secure Element on the shopper's device. Each transaction is authorized with a one-time unique dynamic security code, instead of using the security code from the back of your card. In this age of compromised security, we are proud to offer our patients the latest in convenient and secure payment options! Start the New Year with a Refraction! It is the New Year, and many people are eager to get a new look with an updated pair of frames, or are ready to switch from over-the-counter readers to prescription lenses. No matter the reason, it is best to start by seeking an accurate and up-to-date prescription, which can be obtained through a non-invasive procedure called a refraction, which is available at all locations of Matossian Eye Associates. Refractions are an important part of a comprehensive eye exam. They help to determine the exact prescription power you need to correct your vision, and can even tell you what strength of over-the-counter readers will be the most beneficial to you. Not all insurances cover the cost of a refraction, so at times, there may be an out-of-pocket expense to you. Call 1-800-708-8800 for an appointment today, and start the New Year off right - with clear vision! 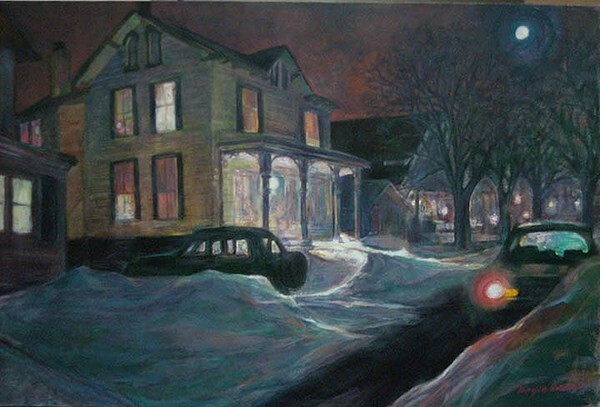 Brian Brems' "South Hamilton Street, Doylestown"
Matossian Eye Associates' Local Artist Program exhibited five painters from October 2014 to January of 2015. Bryan Brems' artwork decorated the walls in our Hopewell, NJ office while several artists' paintings by Elizabeth Zack, Debra Yerger, Diane Greenburg, and June Fisher Jones were displayed in our Doylestown, PA office. As part of our Local Artist Program, a People's Choice Award selection takes place to engage our patients with the artwork. Ballots are placed in the reception areas and patients are asked to vote for their favorite painting. After counting the votes, our patients declared the paintings "Spring Peonies" by Debra Yerger, "Harvest Time" by June F. Jones, "Springtime Blossoms" by Diane Greenberg, and "Gardens at Mile View Farm" by Elizabeth Zack in Doylestown and "South Hamilton Street, Doylestown" by Bryan Brems' in Hopewell the winning choices. Our newest exhibits will extend through the end of March. Kathy Barclay is featured in our Hopewell, NJ office and Peter Hunt is featured in our Doylestown, PA office. Local artists sign up to display their artwork in our reception areas for a three month period, with all proceeds of each sale going directly to the artist. If you are interested in displaying your artwork as part of our Local Artist Program, please contact Dan Rue at drue@matossianeye.com. June F. Jones "Harvest Time"
Elizabeth Zack "Gardens at Mile View Farm"
In December, we held our annual Holiday Party in Newtown, PA. We enjoyed an evening of fun with the doctors and staff. 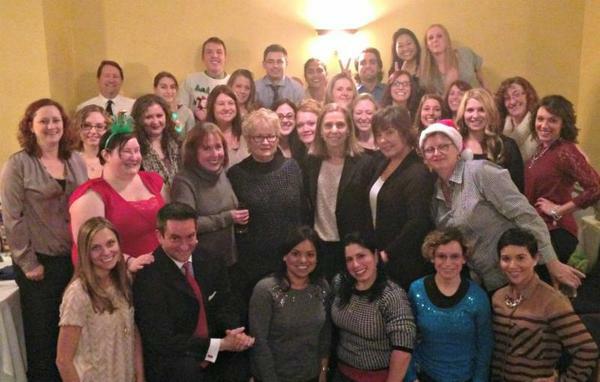 From an excellent meal to a festive gift exchange, a good time was had by all as MEA thanked its employees for another successful year! 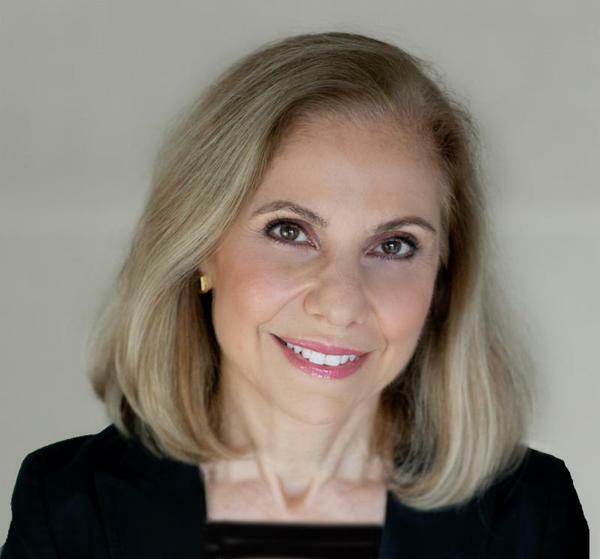 Cynthia Matossian, MD, FACS will be speaking on "The Dry Eye Workup" and "The Neglected Refractive Interface: Impact of the Ocular Surface on Cataract Surgery Outcomes" at the Hawaiian Eye Meeting in January 2015. Cynthia Matossian, MD, FACS was interviewed on the results of MEA's recent TearLab clinical trial. Please click here to view the video. Cynthia Matossian, MD, FACS led several live webinars and roundtable discussions for Ophthalmologists, Optometrists, and other eye care professionals across the country. "How to Let an Employee Go," Ophthalmology Management, December 2014, please click here to read the article. "Patient Surveys Give Us Insights Into Our Patients' Minds," Ophthalmology Management, November 2014, please click here to read the article. "Eyeing the Ocular Vitamin Aisle," EyeWorld USA, October 2014, please click here to read the article. 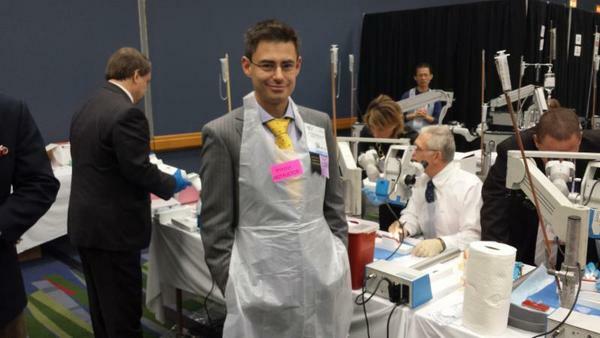 "Coming to a Cataract Surgery Theater Near You," Ophthalmology Management, September 2014, please click here to read the article. "The Economics of Going Dropless," Ophthalmology Management, September 2014, please click here to read the article. Read our Weekly Blogs Here!